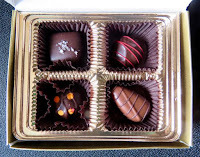 Bonjour and welcome to the first day of Chocolate and Coffee Theme Week. 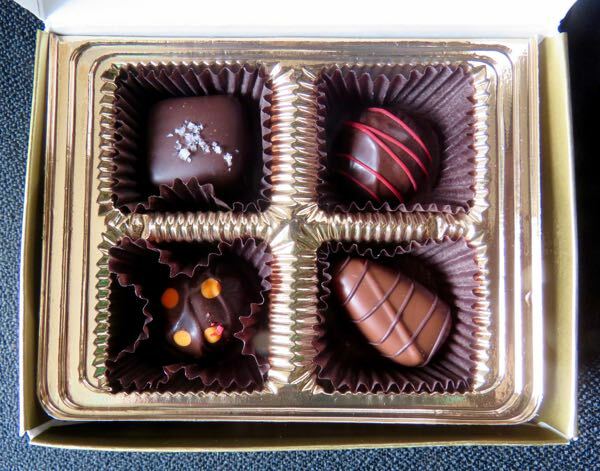 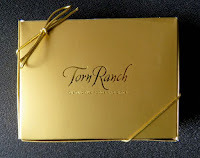 Today's Cafe Au Lait chocolate was the last of a 4-piece assortment from Torn Ranch (Petaluma, CA). Torn Ranch, based north of San Francisco, sells a variety of dried fruit and chocolate items. 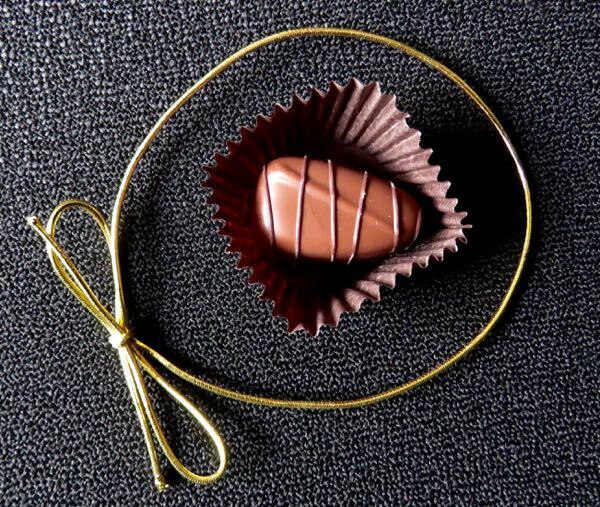 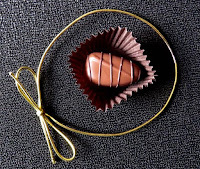 The Cafe Au Lait chocolate had a coffee ganache made with rich cream, was enveloped in a milk chocolate shell and decorated with threads of dark icing, and had a sweet coffee and milk flavor.